Jeffrey is the Solution Lead for Efficiency in the region. He uses his experience to bridge the digital gap for airlines intending to leverage on data to support their decision making and operations management effectively through R² Data Labs. Jeffrey started out in the aerospace industry building core competencies in Air Traffic and Operations Management. He has lead operations and project teams extensively in the area of operations improvement, resource optimisation and cost transformation. For his efforts, he was recognised by the airline group for his ability to facilitate cross regional utilisation of pilot resources and navigating regulatory frameworks across the different regions. Senining Me is an Aerospace Consultant in R² Data Labs, specialising in Aircraft Systems, Aircraft Maintenance management (Line and Base operation), Airport Ground Handling operation & MRO Quality management. She provides domain knowledge and understanding of aircraft systems, component operations and function to the data science team that are developing component predictive analytics. She reviews significant performance trends of the component analytics, and evaluates customer technical records and health monitoring platforms, and also provides feedback or analysis of the generated feature performance illustrated in charts. She has participated in various Data Science events in the UK and in Singapore for the development of use cases for airline customers. She also worked closely with internal and external customers and vendors to capture requirements and collaborate on UI/UX for the development of the web/mobile applications that supports customer maintenance operations. Anya serves as the Decision Scientist for Efficiency Innovation in R² Data Labs. Anya’s role in R² Data Labs is the application of mathematics, business knowledge, design thinking and behavioural theory to deliver data innovation to airlines. She works with a cross-functional team to develop analytics and translating data-drive insights into services. These services enable airlines to take action in response to their business needs and extract the most value from their data. She has worked primarily in Singapore, France and the USA. Her previous roles were in the areas of satellite communications, hardware testing automation, additive manufacturing, radar signal processing and multi-physics modelling. Fainorah is an Aerospace Consultant in R² Data Labs, utilizing her vast airline experience in flight operation engineering and flight planning to support airlines in operational fuel efficiency. She serves as the frontline support of the Asia-Pacific customers to identify opportunities which can deliver value and track performance improvement for management reporting. She maintains a good relationship with the airline stakeholders to enhance continuous collaborative effort in fuel efficiency improvement and additional value from data discovery for operational decision support. She has been involved in the design and implementation of pre-flight decision support applications for pilots and planners, helping airlines reduce pilot discretionary and contingency fuel uplift. 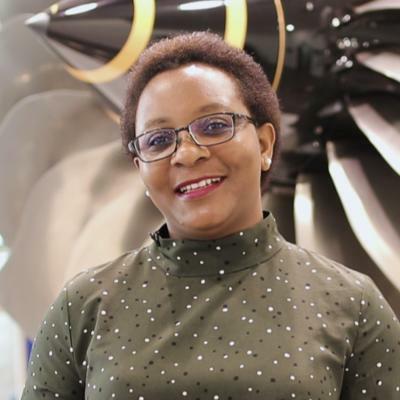 Previously, she was involved in McKinsey-led business transformation and turnaround project, IATA Fuel Quality Pool inspections and jet fuel procurement.